Odlo specialises in developing the best in baselayer technology, and it begins right next to your skin. 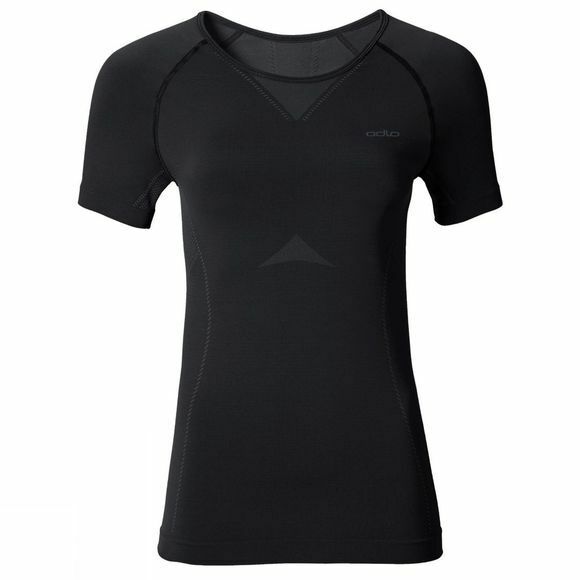 The Evolution Light baselayer shirt for women is an all-year-round high-performance sports baselayer built to vent, breathe, and manage moisture as efficiently as possible. New seamless integrated ventilation zones have created an incredible 20% increase in breathability on last year’s model, while seamless bodymapping, advanced drying properties and integrated ventilation zones all contribute towards outstanding moisture management. If you’re serious about your performance, the Evolution Light baselayer shirt is a must-have this season.